Vancouver, BC - Skyharbour Resources Ltd. (TSX-V: SYH) (OTCQB: SYHBF) (Frankfurt: SC1P) (the “Company”), in conjunction with Preston Uranium Project partner Clean Commodities Corp. (“Clean Commodities”), is pleased to announce the execution of an Option Agreement (the “Agreement”) with Azincourt Uranium Inc., (“Azincourt”) which provides Azincourt an earn-in option to acquire a 70% working interest in a portion of the Preston Uranium Project known as the East Preston Property. Under the Agreement, Azincourt will issue 4,500,000 listed common shares and contribute cash and exploration expenditure consideration totaling up to CAD $3,500,000 in exchange for up to 70% of the applicable property area over three years. 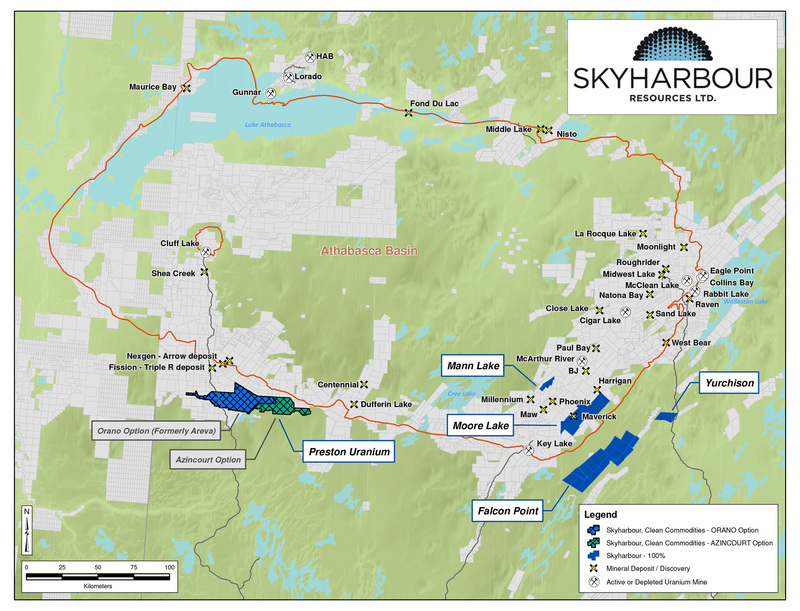 Of the $3,500,000 in project consideration, $1,000,000 will be in cash payments to Skyharbour and Clean Commodities, as well as $2,500,000 in exploration expenditures over a three year period. Azincourt will be issuing Skyharbour and Clean Commodities each 2,250,000 common shares upfront for a total issuance of 4,500,000 common shares. Azincourt may earn a 70% interest in East Preston totaling 25,329 hectares, which represents the eastern region of the larger 121,148 hectare Preston Project through the upfront issuance of 4,500,000 shares as well as $3,500,000 of total project consideration over three years, including up to $2,500,000 of exploration work programs and $1,000,000 of cash payments to Skyhabour and Clean Commodities to be split equally. 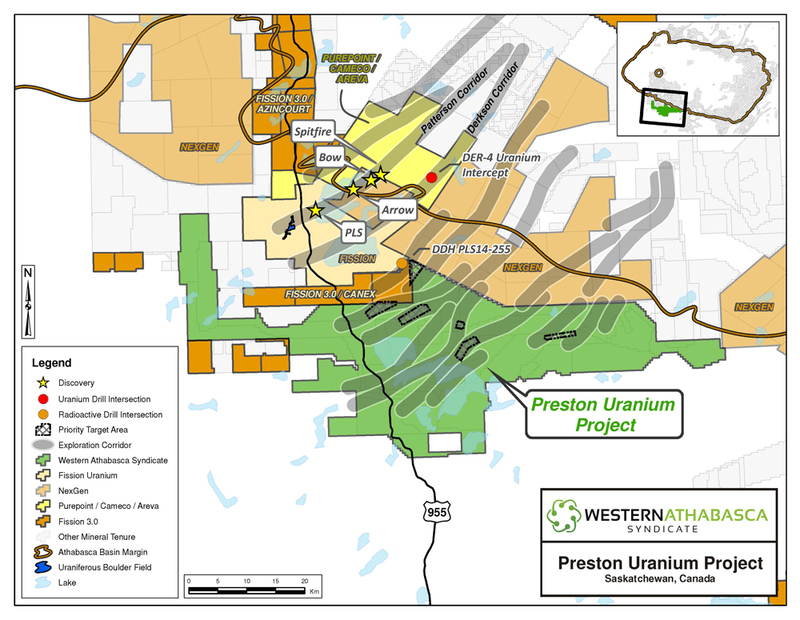 In addition to this Agreement on the 25,329 hectare Preston East Property, Skyhabour recently announced that it signed an option agreement with AREVA Resources Canada whereby AREVA may earn up to a 70% interest in a separate 49,635 hectare portion of the Preston Project.